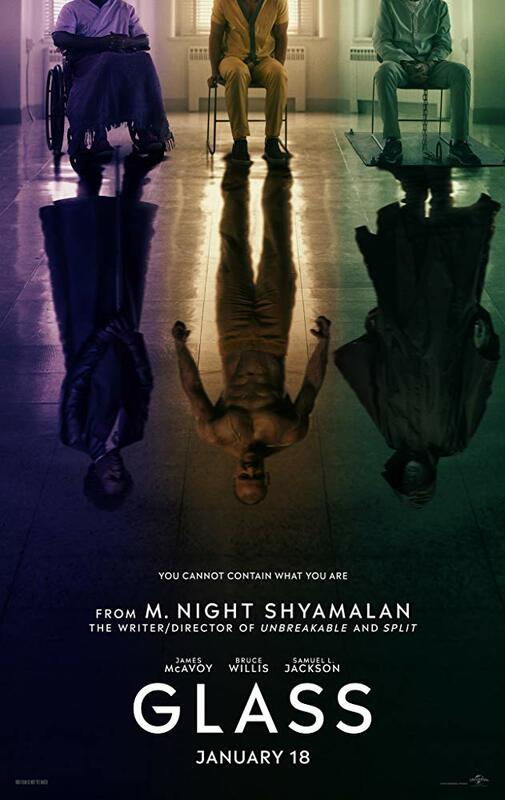 After the success of Split, it makes sense that M Night Shyamalan would decide to finish off his series of superhero movies. At the end of Split, to everyone’s surprise the movie takes place in the same universe as Shyamalan’s previous superhero venture Unbreakable. Unbreakable released back in the year 2000 and up until the last 30 seconds of the movie Split there was no sign that the two movies were connected. Shortly after Split’s release Shyamalan announced a third movie, this time focusing on Elijah Price from Unbreakable, aka Mr. Glass. With the movie announced for an early 2019 released and titled simply Glass. There were high hopes from this upcoming film given how well received Split was. 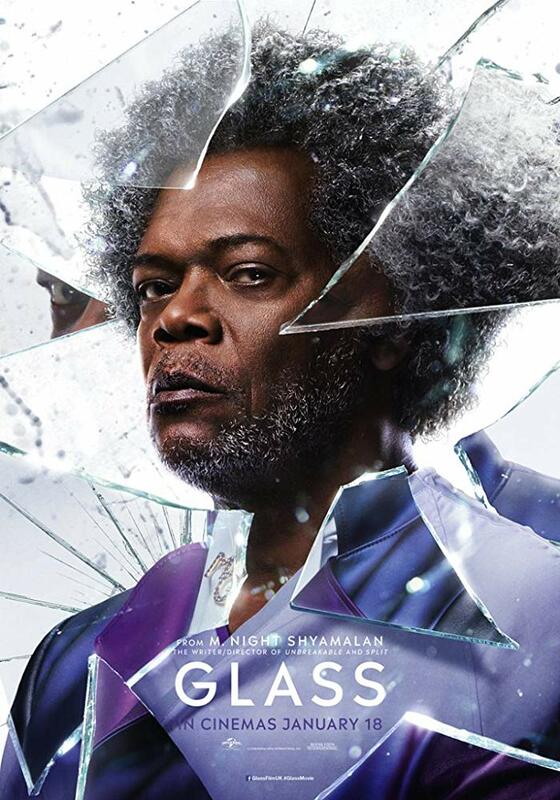 Like Split, Shyamalan was fully funding the production of Glass himself in order to make sure his vision of the movie came to fruition without studio intervention. This was a sign of good things from the director who has had some major financial and critical failures with his last couple of films. 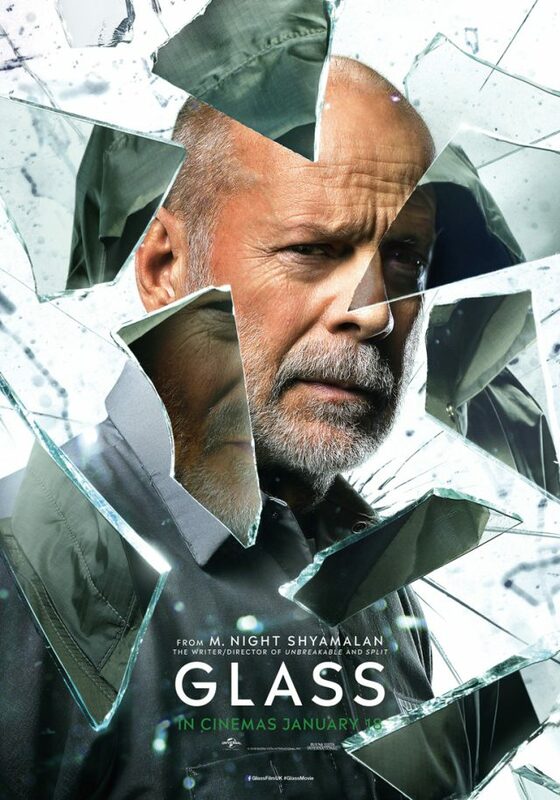 While Glass takes place shortly after the events of Split, it acts more as a sequel to Unbreakable. 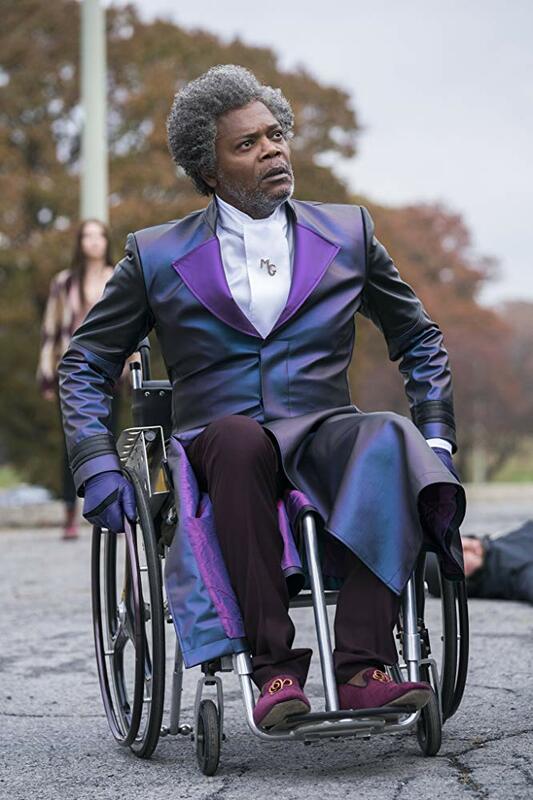 Elijah Price (Samuel L Jackson) has been in a psychiatric ward since the events of Unbreakable. Glass opens up bringing David Dunn (Bruce Willis) and Keven Wendell Crumb (James McAvoy) to the same institution. We are then introduced to Dr Ellie Staple (Sarah Paulson) who specializes in psychiatric treatment of those who believe themselves to be superheroes, or believe the world to be like that of a comic book with heroes and villains. This is where most of the movie takes place, with these four characters being the main focus. 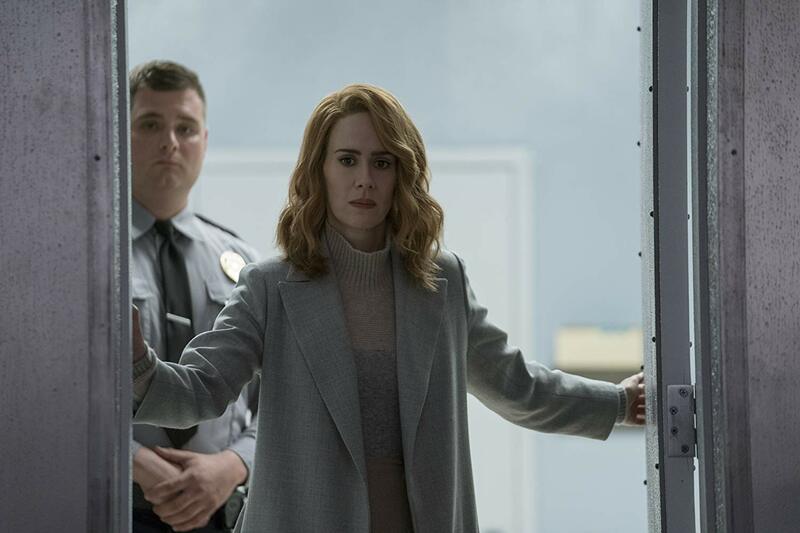 Once the main characters arrive at the psychiatric ward, they are each put into their own room specially equipped with their weakness to keep them under control. For Elijah he is heavily sedated with medication to prevent him from being able to think or plan. For David, he is weak to water and thus his room is surrounded by high powered hoses. Then Kevin Crumb who has an issue with multiple personalities being in a room equipped with a lighting mechanism which forces his personality to switch to a different one. With the characters staying in their respective rooms, separated from the others for large portions of the film, there are some slow moments in the film. Not to say some of these solo moments aren’t fun, it can make the idea of bringing all these characters together feel disjointed at times. 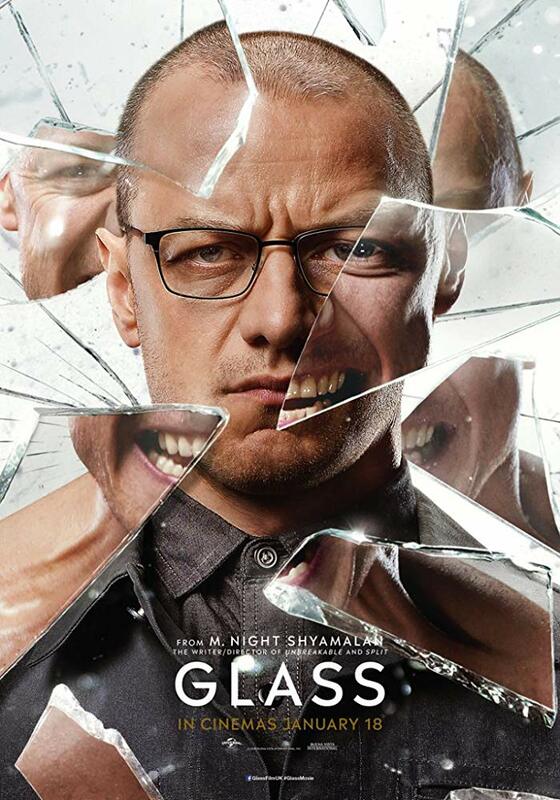 Much like Split, Glass is a very psychological movie pushing the idea that these individuals do not actually have powers, but are merely running into coincidences that make them believe as such. Being a more psychological movie there are not many action scenes, and it is very story driven. Especially since Glass focuses on the mastermind, Mr. Glass, who is very manipulative in his actions, and smart enough to know how to plan. As far as the story goes, it can get very interesting at times, but focus on these characters are sometimes lost to the side characters who do not have as much impact on the film. Given their screen time, It should be suspected they would have a larger impact on the film as a whole, but for the most part their scenes could be cut and nothing would be lost. The pace of Glass takes a very dramatic dip whenever the secondary characters are on screen. Some of the best scenes are the ones seeing the three main characters interact, but sadly those scenes are few and far between. Then the scenes focusing on Mr. Glass are especially fun to watch, almost anytime he appears on screen is when the movie shines the most. David Dunn does not get much character development, and Kevin Crumb had an entire movie to focus on him in Split so he is put on the backburner as well. They do have their moments in Glass, but the focus on Elijah is very evident. Glass shows just how maniacal and smart Elijah truly is. We see in Unbreakable how far he is willing to go to make his visions come true, but in Glass he see how he plans and makes it all possible, getting a little insight into the way he thinks. When it comes to the acting in Glass, it is a mixed bag. On one hand, you have Bruce Willis who is barely giving the bare minimum of what is considered acting. Even in points where he is in trouble, or freaking out he does his best to now show any emotion. Instead, he keeps a nonchalant demeanor with every line read. There is no difference in his reaction to events where his character is supposed to be angry, sad, scared, or even excited. Throughout the entirety of the film he has one emotion, uninterested. On the other hand, there is James McAvoy who somehow pulls an even more impressive performance than he did in Split. Playing a character with different personalities, it is easy to tell which personality has taken control of Kevin at any point. Everything about the way he acts, talks, and all subtle changes he makes for each character. He brings every personality to life on screen, and changes between them effortlessly. This movie is another great example of the range that McAvoy has as an actor. 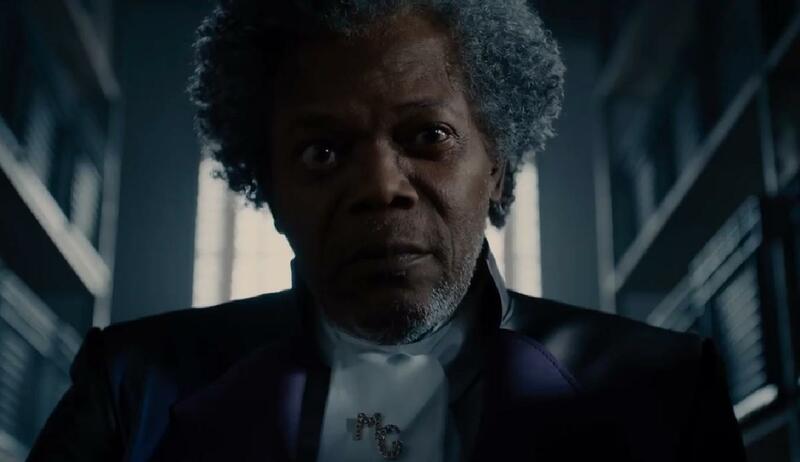 Samuel L Jackson has a similar performance, bringing the maniacal and manipulative Mr. Glass to life on the screen. There are multiple times throughout Glass that it is easy to tell how much fun Jackson is having in the role. The rest of the cast do not have moments that stand out though as either good or bad. Which makes sense since the focus of the movie is on David Dun, Kevin Crumb, and Elijah Price. There is a lot of fun in this movie, and watching it is very entertaining. It does leave more to be desired and it does not feel like a conclusion to a trilogy. This will not be a movie for everyone, it is a very slow burn before getting to scenes with action, or where details pan out. Even scenes that contain action are slow paced, even when the main characters clash with each other, but they do feel realistic. The scenes that do shine though are a perfect mix of the story shining and the actors giving it their all. The interactions between Kevin and Elijah especially show how good this movie can be. The biggest problem of Glass is the fact there is not much to say about the movie. It just kind of comes and goes. It is not a bad movie by any means, but it does not stick out as a particularly good movie either. It just manages to slide somewhere completely between the two as a movie that will be forgotten past its initial debut and subsequent releases on Blu-ray and streaming services.